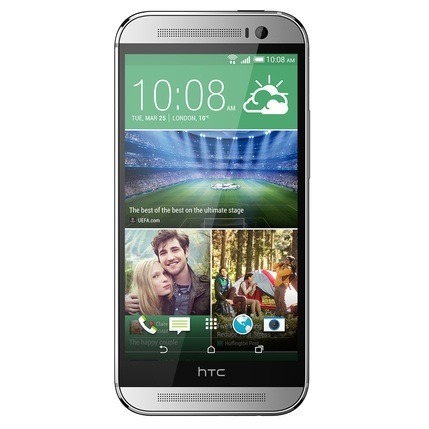 Three of the big four American carriers started offering the HTC One M8 on March 25th, the day the phone was announced. 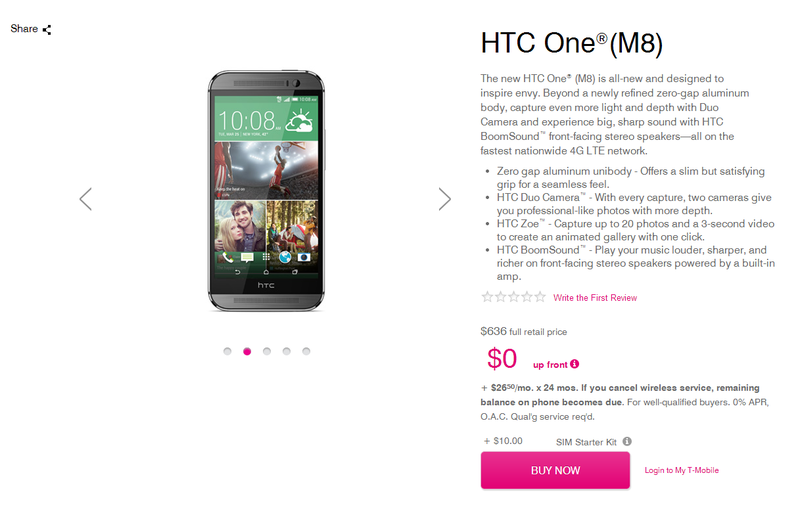 One, T-Mobile, is just getting the phone today. But last does not mean least, and with this un-carrier's low prices, there's plenty of reason to have waited. Unfortunately (and unsurprisingly), the affordability does not start with the phone itself, which is now available for $26.50 a month for twenty-four months or $636 all at once. This year's update keep's the M7's all aluminum build-quality and four "Ultrapixel" camera, only it supplements it with a second one that enables new depth effects. The phone has a 2.3GHz quad-core Snapdragon 801 processor, 2GB of RAM, 32GB of internal storage, and the latest version of Sense. If any of this has you excited, feel free to unload that impulse shopping urge at the link below.